Mozambique is just an example elaborated there are meany more in count to make safer for tourism. 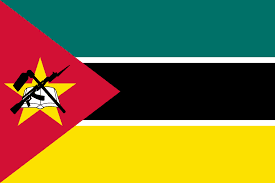 the aspect GOD had created earth for human beings the beauty to see, the scents to smell and the freedom to feel, and what human made out of it is a depicted example here about mozambique. what if generations not able to see the beauty, not able to smell the fragrance and not able to feel the freedom? we only be the responsible entities for it.